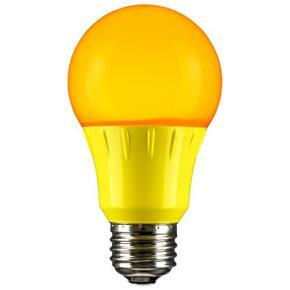 T2 EarthBulb easily replaces incandescent light bulbs which may provide over 75% energy savings. 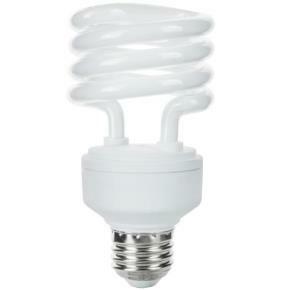 This 13 watt EarthBulb CFL when compared to 60 watt colored incandescent bulbs which may provide over 75% energy savings. Savings over the long 10,000 average rated lifeeliminates 680 lbs. of CO² from being released into the air and provides $47 in electrical cost savings (at $0.10kwh). 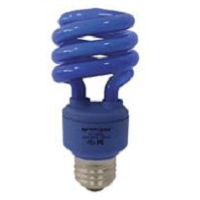 This compact fluorescent may be used indoors or outdoors in sheltered applications. 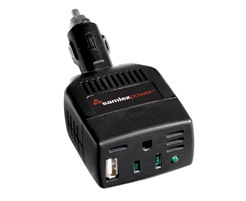 Electronic ballast provides for instant on, no flicker starting. Medium screw base. Energy Savings 75% compared to a 60 watt bulb CO2 Reduction 680 lbs.